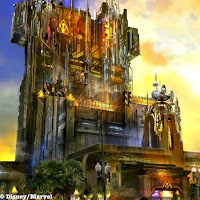 I have been on the Tower of Terror ride several times in Hollywood Studios way back from when it opened. I haven't been to the Tower in Disneyland but I know it is the same ride with a good theme, queue and merchandise as soon as you exit. I personally think the outside look of the DCA Tower isn't as strong or menacing looking as the one in DHS and this point has been a big topic of argument with many fans. The ride is just as popular in both parks and the theme of the land surrounding the Towers fit well. Disney California Adventure struggled for so long to get a winning theme to the park and Disney set out to fix lackluster attendance. 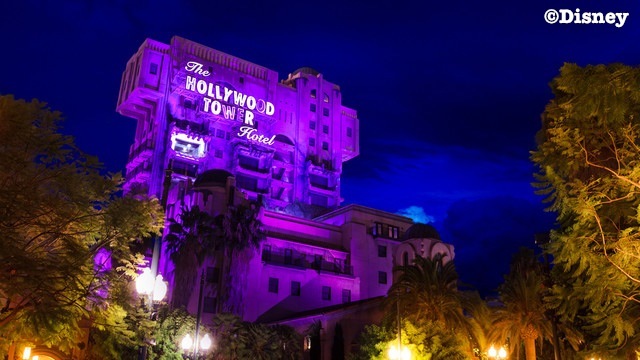 People praised the addition of Buena Vista Street and a new entrance (resembling Hollywood Studios) along with the addition of The Tower of Terror. The weaker facade of the DCA version is probably the result of the desperation to make DCA work as a park and not spend more than necessary. Seeing as Tower of Terror was a popular thrill ride in Orlando, naturally it was meant to bring that same excitement out west. Weaker facade or not, much work was put into making DCA more cohesive. The very limited space plays a big part in the sightlines of the park when you enter it so it's important where you place something in the park. The overall results were positive. When I heard the rumors of a changeover to the Tower, I had a feeling they were true (but for both parks). With Disney's hands slightly tied by Universal Studios (who still holds the rights to use Marvel characters in rides) this left Disney not able to use their 4 billion dollar investment to its fullest. Guardians of the Galaxy is the exception since Universal Studios doesn't hold the rights to that. After the re-skinning of the Maelstrom to Frozen Ever After in EPCOT, and the alteration of Disneyland for Star Wars Land, I believed Disney wouldn't have an issue swapping out any ride. At some point Disney will be able to include Marvel rides and attractions when Universal is no longer able to. 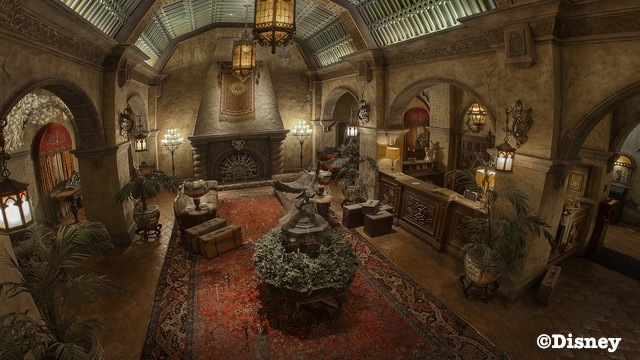 Several people have speculated the area where DCA Tower of Terror is located will be entirely re-themed to the Marvel Land space after the Guardians ride installation. I believe this to be true, since adding Guardians to the Tower defeats the theme in that area (the Red Car Trolley and surrounding buildings). This change makes the overall theme of DCA park begin to fall apart yet again. To further the theory, this might be why Disney wouldn't change out Star Tours in Disneyland to a Guardians ride as some people suggested. One lone Marvel ride is not their big picture. As we see with Cars, Toy Story and Star Wars - it's about land sections. A park like Universal is more able to pull off dropping in IP's and swapping them out in sections. I feel like Disney's been studying these methods and trying to emulate that model. Yes, Walt once said Disneyland will never be complete, and that it will grow and expand, but I don't think he had the re-theming of rides in mind when he said that. Though we can't use the "What would Walt want" philosophy in 2016, in this day and age with all the technology available and the successful years Disney has had, I don't understand why it is acceptable to reuse and re-skin on the cheap (or less expensive) to bring customers an "immersive, jaw-dropping, state-of-the art, memorable" experience - especially when the attraction being replaced is one that is still popular with those customers today. As of now the fate of Florida's Tower ride doesn't appear to be in jeopardy, but since Disney doesn't own The Twilight Zone, I'm afraid that may change one day. The old-Hollywood theme for both DCA and DHS is not going to be necessary once the current refurbishments are complete so the start of big changes can't be denied. The rumor for Florida is that Guardians will find a home somewhere in EPCOT. I'm not against Guardians or Frozen, but I wouldn't be pleased with a Jessica Rabbit theme of some sort in EPCOT for the same reasons, it doesn't make sense there and EPCOT's theme was made as to not include these things. The Frozen animatronics are very impressive, but imagine if that was a ride built from the ground up rather than shoehorned into a space. Unless there is a big change or outcry from customers, I think this trend will continue. Lands of properties will be placed together and an overall theme for a park will not exist.